Hi everyone! I'm Megan from A Lived in Home and I'm super excited to be guest posting today while Megan's away on a fabulous vacay! 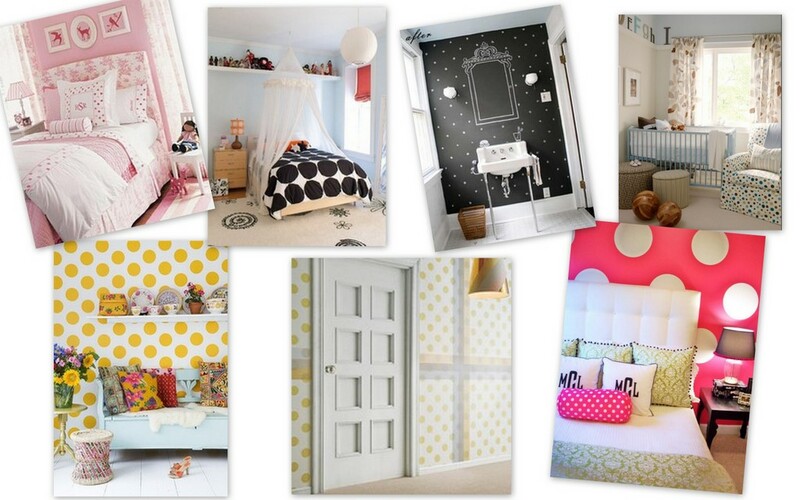 Her blog is a great example of what she loves and does well, design! 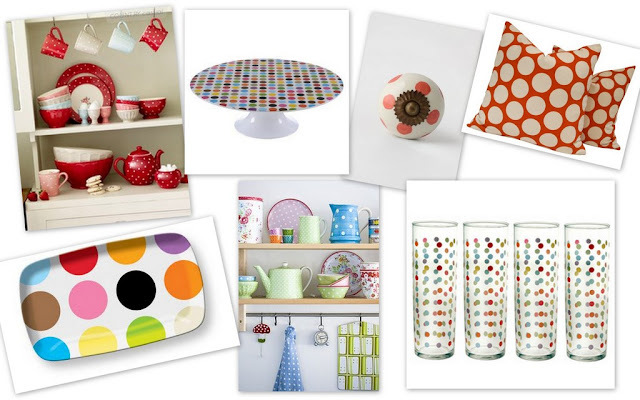 We all love to incorporate patterns into our designs, so why not polka dots? They are being spotted everywhere on the runway, on accessories, furniture, and fabric. They are colorful, cheery, and add a retro vibe to anything. Here are some updates of the fun and timeless pattern. Can you see polka dots in your future? Where will you incorporate them? Thanks to Megan for having me today! Love polka-dots! And those walls are so fun!